On Nov 30th 2012, the Bauma China 2012 ended with great success. At the forth day, the passenger flow of Zenith exhibition booth kept hot as that of the last three days, being the most attractive exhibition booth. During the the fair, mediums at home and abroad show great interesting to ZENITH. Today one famous TV medium came to interview Zenith. When the journalist talked about the aim of this fair, the commander in chief of this fair, Mr.Zhang, sai"We have three goals, one is strengthen brand power of Zenith; another is searching many more raw material suppliers, optimizing our purchase-chain. The last one is that we would like to be the protagonist in E5 hall." "Though this fair is to end today, a number of promotion activities will be shown one by one in the head office. Zenith keep optimizing our production system after this fair and do our best to ensure that all contractions signed in the fair can be finished perfectly." said by Mr.Zhang when he was asked about the plan after this fair. 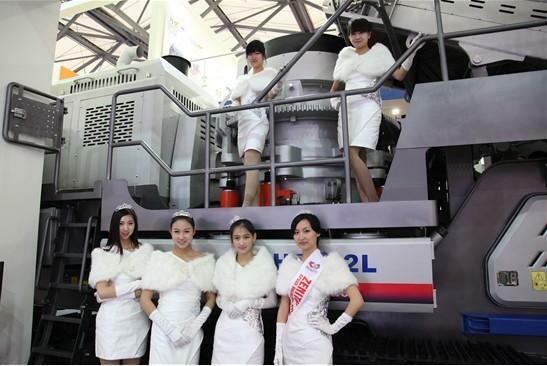 "Actually, Zenith succeeded in showing itself in the Bauma China 2012. But there are many more goals in the future, we would like to construct the global civilization with the world by strengthening our R&D, production and company management."